To make the most of any kitchen remodel, start by working with one of the kitchen and bath designers at ProSource® of Amarillo. We’ll help you craft this high use area into a beautiful and functional gathering space by adding new kitchen cabinets, countertops, faucets, sinks, and more. Of course, you’ll find all our high-quality products at our low, wholesale prices, allowing any project to be budget-friendly. Not only are they valuable ways to provide storage in a kitchen, but also cabinets are a way to better express the design aesthetic and theme. Remodeling a kitchen with cabinets might seem expensive, but ProSource makes it affordable thanks to our wholesale prices. 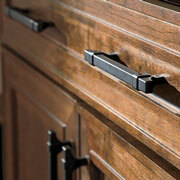 Don’t let the cabinet hardware wear on your remodeling budget. In our showroom, you’ll find a wide range of pulls, knobs, and handles available in any number of materials and finishes. 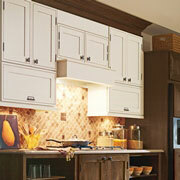 The hardware on cabinets can magnify their appearance, and better match the decor of the kitchen. 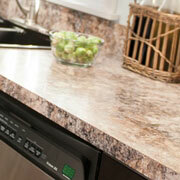 When someone walks into a newly remodeled kitchen, one of the first things they are drawn to is the countertops. ProSource of Amarillo offers eye-catching countertop options made from marble, granite, and quartz that can complement the appearance of any kitchen. This vital fixture can influence the way a kitchen looks and feels. 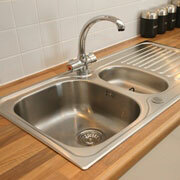 You can find your perfect sink at our showroom. Choose from multiple materials and sizes for a personalized fit. 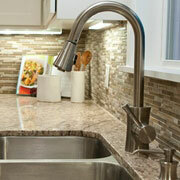 Much like the sink, the faucet is an item that many take for granted in the kitchen. Meet with our dedicated team to select a faucet with the appropriate style, design, and functions for your kitchen remodeling project.